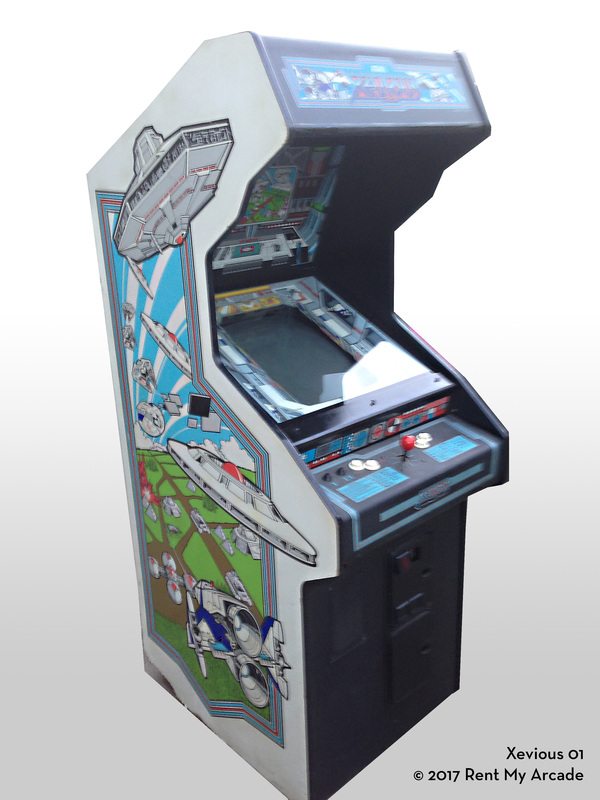 Xevious, the challenge of a lifetime. Many eons ago, an advanced technologically oriented civilization was forced to evacuate the Earth prior to the Ice Age. Now, these Xevious people are returning to reclaim their heritage through conquest. This is the scenario in which the player will find himself in Xevious, the latest coin video game sensation from Atari. At the controls of his Solvalou super spacecraft, the player must defend his planet from the invasion and possible takeover of the Xevious aggressors. The Xevious people mount a fierce attack in the air and have already secured certain locations on Earth, so the player is bombarded both from air and land. Flying a search and destroy mission, the player cruises over the scrolling landscape, bombing the Xevious ground entrenchments by centering his bombsight over each and zapping the air targets that come into range. The player faces 32 different enemy targets on both the land and in the air. A flotilla of flying mirrors forms an impregnable opponent that repels the player's fire power, but a collision with one of them will prove fatal. After battling his way through wave after wave of enemy forces - each made more menacing though the advanced game graphics of the color raster - the player encounters the monumental controlling force of the Xevious offensive, the Andor Genesis Mother Ship. A direct hit to her central reactor will disable her, but the player should not be lulled into a false sense of security. Xevious forces will soon appear and renew their attack with increased determination. H: 72", W: 25.25", D: 35.75"